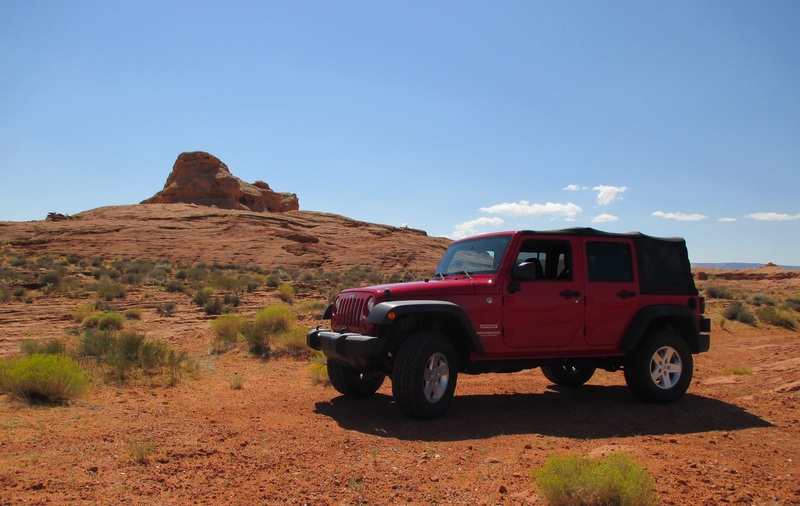 If you’re visiting Page, Arizona, one of the best things to do here is to explore the natural wonders that surround us by water and by land, and one of the best ways to do that is with Carl’s Marine and Jeep Rentals. 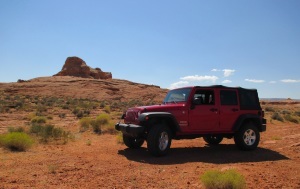 Randy and Paula have been here in Page for 30 years and have explored every square mile in the Lake Powell area and are very helpful with maps and information. They have what it takes to get you where you want to go—to somewhere breathtaking. 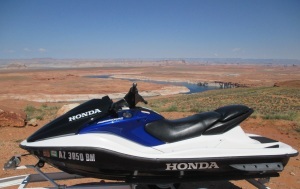 Take in the beauty that is Lake Powell with a PWC (Personal Water Craft) rental from Carl’s Marine and Jeep Rentals! They’ve got a large selection of reliable watercraft, like Honda Aquatrax F12s, F12 Turbos, and 1500s ranging from 125 horsepower to 165 horsepower. You can rent pontoon party boats, equipped with 12’ permanent roof, gas grill, a port-a-potty, ice chest, and stereo! Whatever lake experience you’re looking for, Carl’s can help you make it a reality! If the excitement of an off-road adventure is more your speed, you’re in the right place. Page is surrounded with some of the most breathtaking sights you could imagine, most of them only available for those who venture off the beaten (and paved) path. Carl’s can get you ready for your off-road journey with a 2- or 4-door Jeep Wrangler Unlimited; each equipped with lift kits and all-terrain tires. Get ready for the ride of your life! Carl’s Marine offers daily and weekly rentals, and they even offer special rates for 3-10 day rentals. 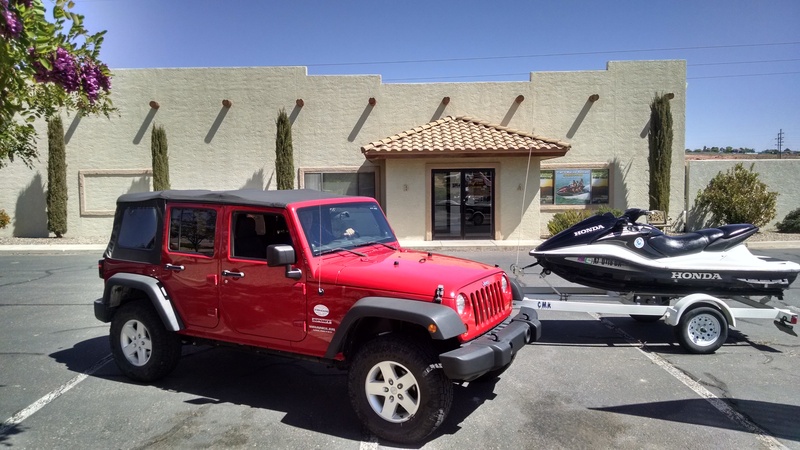 Whether you’re playing on the lake, or roughing it on the trails, or maybe even a little bit of both, Carl’s Marine and Jeep Rentals is your all-access pass to the beauty of our area.